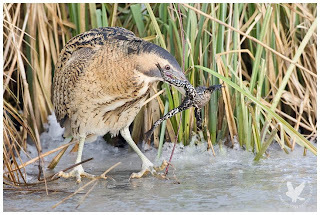 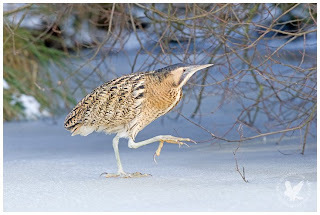 I went back to the Bittern site where i photographed the Bitterns in the last post. 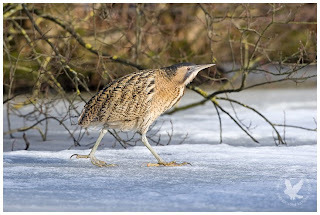 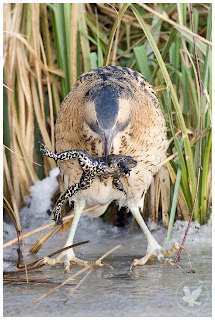 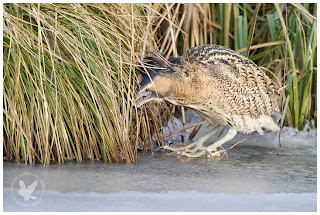 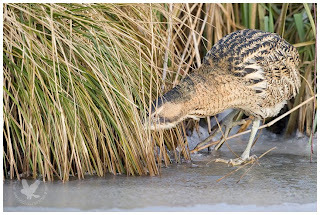 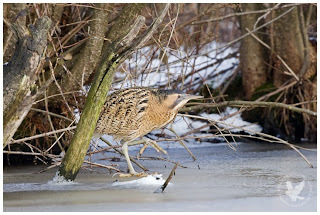 Today was another succes as there where two Bitterns active out on the ice. 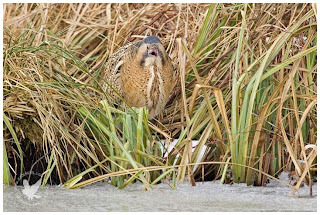 One of them was hunting the edges of the reed bed and all of a sudden i saw it reaching out for something from underneath the ice...There it was...a big fat Frog! 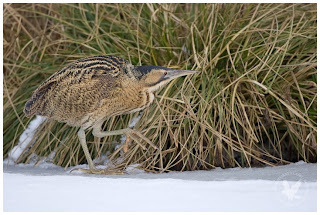 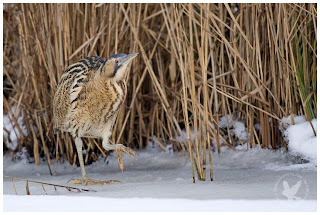 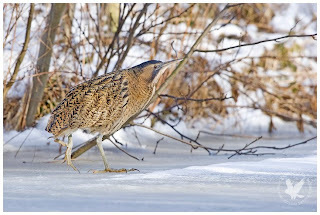 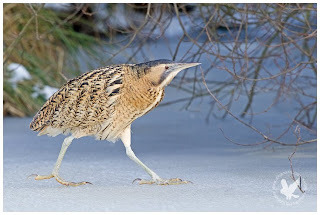 Tomorrow i will revisit the site to get some more shots and hopefully more of the action as i will be hosting another "Winter-Wonderland-Workshop" with the Bitterns as main point of focus..litterally.. 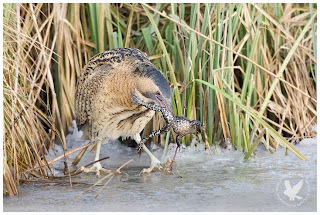 So thumbs up for tomorrow and hope the Bitterns will be cooperative again and may the light be with us. 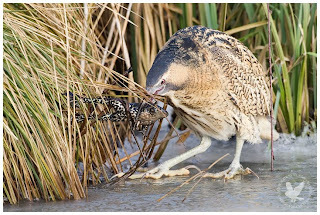 Gefeliciteerd met deze fantastiche serie.